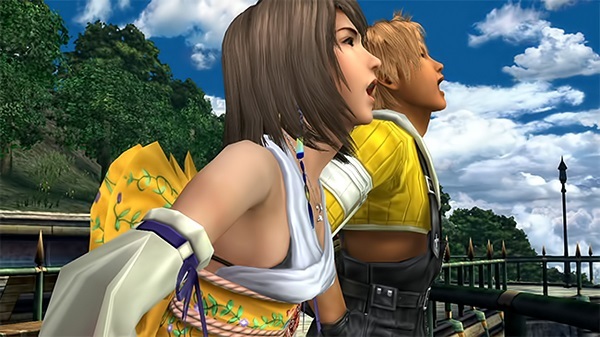 There’s not much left to be said about Final Fantasy X. It’s been more than a decade since its intial release and in that time it has had major mainstream success, despite some people declaring it the first step in the downfall of the series. 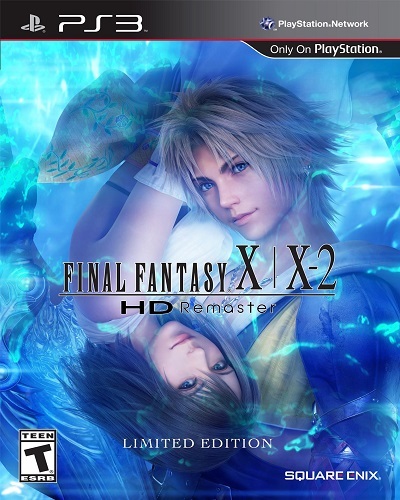 With the recent re-release of Final Fantasy X in HD for the PlayStation 3 and the PlayStation Vita, I thought there was no better time for me to go back and see if the game still holds up. 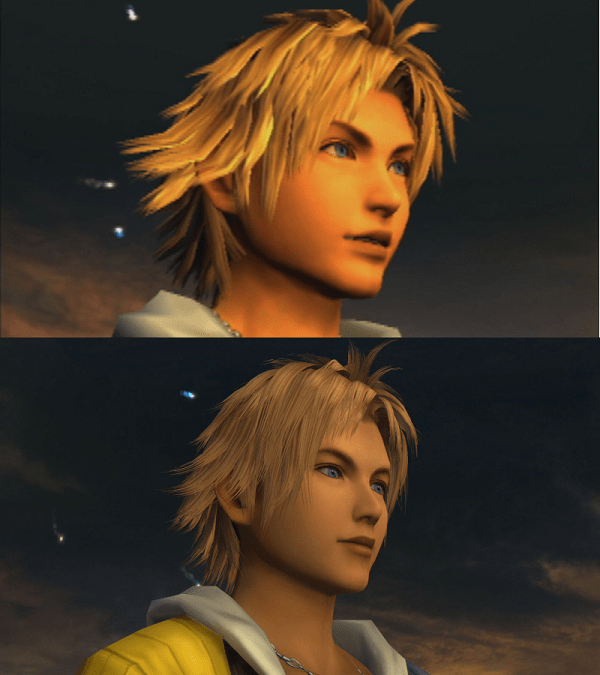 Of course, the main selling point of Final Fantasy X HD is the graphical upgrade. For the few people who still aren’t sure of what to expect, this is a ‘Remaster’, not a remake. The only enhancement to the graphics is a simple resolution bump and an HD filter. The game’s looks have been improved for the most part, especially when it comes to shading, environments, and getting rid of the polygonal edges on the character models. It also fixed a couple graphical glitches the original had, like weapons not loading during certain cutscenes. On the flip side, however, the graphical upgrade actually made some aspects of the game look worse; most notably, all of the NPCs in the original were lazily put together because they weren’t seen often, and the lower resolution helped to hide the lack of detail. Since the NPC models weren’t remade, this lack of detail is far more evident now than it was before. Nothing special has really been done here to make the game stand out. It is still very evident that this is just a PlayStation 2 game up scaled for the PlayStation 3. Judged purely on its graphical presentation, it does hold up as a colorful and decently rendered PlayStation 2 title with interesting characters and world designs (with some of the flaws inherent to titles from that era as well, such as very poor lip syncing). As long as you know what you are getting into, you shouldn’t be too disappointed with the game’s visuals. Surprisingly, Square Enix actually did put a lot of effort into the soundtrack, inserting re-recorded versions of every song. The score for Final Fantasy X has always been beautiful and arguably one of the best parts of the game, but the arranged soundtrack provides an even greater level of depth that I really enjoyed. I still hold a soft spot for the original versions, but I consider the new arrangements superior to the originals for the most part. What I particularly love about the soundtrack is that most of the songs are based off one theme titled ‘Suteki Da Ne’, an absolutely beautiful and memorable piece that is played at a pivotal point of the character’s emotional journey. The fact that this single song is re-arranged to provide a majority of the soundtrack really creates a sense of unity throughout the journey, giving the player a feeling of progression as well as connection from one location to another. It’s really a subtle and often overlooked aspect of the game’s design, and I feel it’s something that should be appreciated for how perfectly implemented it is. The voice acting is exactly the same as it was in the original game, though the clarity and quality of the speech is slightly better because it is less compressed on the PlayStation 3 than it was on the previous console. This means the voice acting is decent, though by no means perfect. There are times when lines are rushed and other times where they lazily cut and paste the same line of dialogue despite its mood not matching the scene (something that is seen most often with Yuna and the word ‘Okay’), but these occasions are luckily few and far between. The music may be enhanced but this… this remains unchanged. Final Fantasy X‘s plot focuses on a 17-year-old star athlete named Tidus. One night during a Blitzball tournament in his home town of Zanarkand, a malevolent, god-like being known only as Sin attacked. Tidus survived, but found that he had been sent 1000 years into the future to a world that had been almost completely destroyed by Sin. Not long after, he is introduced to a young summoner named Yuna, who is on a pilgrimage to defeat Sin with the help of her guardians, who Tidus eventually joined. The game’s plot is driven primarily by the main characters and their emotions. The overarching plot in itself is serviceable, but the world is not at all well developed, which is a shame. Spira is a world full of lore that is barely touched upon, and all of that potential goes to waste when it could have easily been the most interesting part of the story. Not to mention that one of the main conflicts in the story is Tidus’ desire to return home, which wouldn’t be a problem if we had any knowledge of what his home life was to begin with. We learn that his father didn’t treat him well (which does factor into the plot later on) and that he was a star Blitzball player, but that’s about it. We don’t know if he had any friends, and we don’t know what day to day life was like in Zanarkand. We don’t know anything about what he lost, so there’s no basis to form any sympathy for Tidus in this regard. There are several more examples that I could give, but won’t because of spoilers. What it really comes down to is that what plot there is in Final Fantasy X is pretty decent, but its biggest flaw comes from the enormous amount of missed potential. 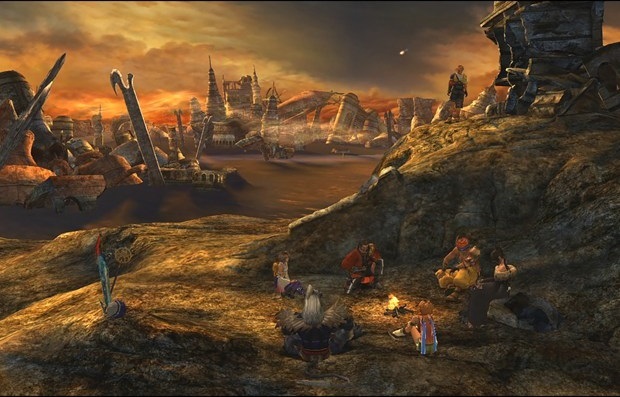 Sit down and get comfortable, Final Fantasy X’s story will keep you busy for a while. All that being said, the game’s plot takes many twists and turns with the story, providing a great deal of intrigue as you travel through Spira. Admittedly, the acting and dialogue is rather melodramatic, and some people won’t be able to get past that, but if you are an avid JRPG fan you should feel right at home. If you allow yourself to get invested in the characters you will find yourself on one of the more heart wrenching and entrancing plots you can find in the genre.